Garrett Snyder ’09 is the food editor at LA Weekly. He was also the L.A. editor of Tasting Table, and he was a contributing editor to LAmag.com’s Digest and Liquid L.A. blogs. After graduating from LMU with a degree from the School of Film and Television, Snyder worked in the entertainment industry. While traveling to and from jobs, he stopped at interesting places to eat. He began writing about them in his blog called “Search and Devour.” That led to writing assignments at the LA Weekly and Los Angeles Magazine. He says his SFTV experience taught him paint a scene and tell a good story effectively. 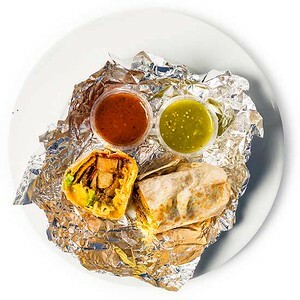 Snyder has crisscrossed the Southern California area trying out dishes of all sorts, so we asked him for a list of his favorite L.A. street foods. Here’s what he came up with. 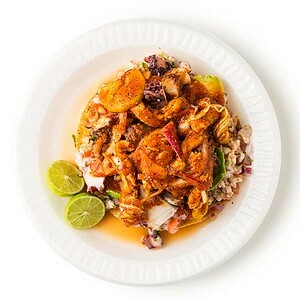 Mariscos Jalisco is one of the best Mexican seafood trucks in L.A., and while it is best known for fried shrimp tacos smothered in salsa, I’m even more partial to something called the Poseidon, a tostada heaped with ceviche, spicy shrimp aguachile, avocado and slices of poached octopus. The ocean on a plate, basically. 3040 E. Olympic Blvd., Los Angeles. One of the most honest burgers in the city is at this roadside shack in industrial Van Nuys. There’s a 90-year-old man flipping burger patties on a cast iron griddle that’s older than him. 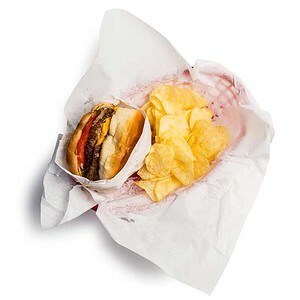 You grab a stool and a bag of potato chips — they don’t serve fries — and hand over your cash. It’s the quintessential California burger, like what you’d imagine In-N-Out was when it first opened. 14742 Oxnard St., Van Nuys. This family-run shop in Gardena specializes in Japanese gift boxes filled with sushi, and they’ve been doing it since 1962. 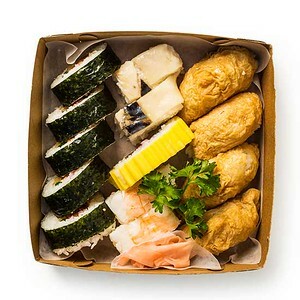 Instead of raw fish, they fill seasoned rice with things like shiitake mushrooms, spinach, fried tofu skin and pickled mackerel. The beautiful paper-wrapped packages end up resembling a box of chocolates but better. 1601 W. Redondo Beach Blvd., Suite 112, Gardena. I was lucky enough to live in Chinatown when this New Orleans-style deli opened a year or two ago. Their po’ boys are absolutely gigantic and just as decadent as the ones you’ll find in Louisiana. If you’re feeling flush, go for the fried shrimp and hot roast beef combo, which comes drizzled with spicy cajun remoulade. 207 Ord St., Los Angeles. Sapp in Thai Town is less a coffee shop and more a homey Thai diner, a place where you can swing by for a bowl of noodles and strong iced coffee. 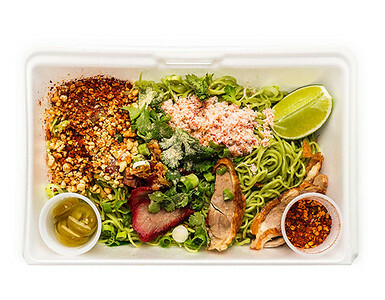 Their legendary jade noodles (tinted green by adding spinach in the dough) are topped with barbecued pork, crushed peanuts, dried chiles, cilantro and a spoonful of sugar. It makes for a fantastic breakfast. 5183 Hollywood Blvd., Los Angeles. This is the spot for mouth-watering Israeli food: shaved chicken shawarma, silky hummus, chopped salad and hot sauce wrapped in hot-from-the-oven flatbread called laffa. The guy at the counter stuffs your sandwich with whatever toppings you want, and there’s a lot to choose from. Mine usually ends up thicker than a super burrito. 7422 Melrose Ave., Los Angeles. 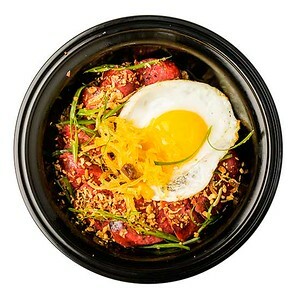 A former fine dining chef opened this lunch counter downtown that serves killer Filipino rice bowls — the whole space is basically a cramped kitchen and a few chairs, but they somehow make magic happen. Try the longganisa, a sweet-spicy grilled sausage, with a side of garlic rice and tart pickled veggies. 419 W. 7th St., Los Angeles. 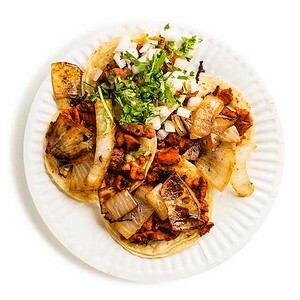 My favorite street food to eat in L.A., hands down, is tacos al pastor. The best places serve it sliced from a huge rotating spit called a trompo, which you can see and smell from your car window as you’re driving down the street. At Tacos Tamix near Mid-City, the pork is crispy and well-marinated, the salsa is fiery, and the tacos cost just $1.25 each. It’s heaven. W. Pico Blvd. and S. Tremaine Ave., Los Angeles. If you don’t mind braving the crowds, Gjusta in Venice is a veritable deli wonderland. 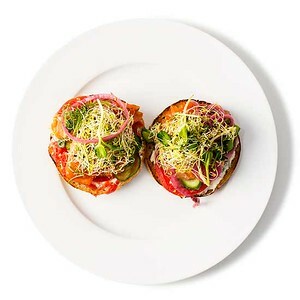 Their fresh baked bialys — essentially bagels without the hole — are good on their own, but even better sandwiched with smoked pastrami salmon, scallion yogurt, capers, radishes, pickles and a few other crunchy items. The whole thing almost feels healthy. There are too many good breakfast burritos in L.A. to count, but my favorite is from Cofax, a coffee shop on Fairfax that happens to sell top-notch doughnuts, too. 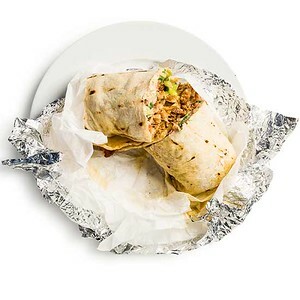 Their chorizo-and-egg burrito with smoked potatoes is ridiculous, especially if you add avocado. The secret is onions and tortilla chips sautéed in with the eggs. 404 N. Fairfax Ave., Los Angeles. 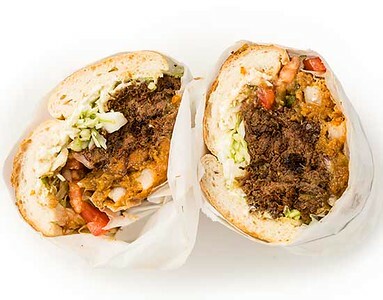 Never underestimate the power of a good veggie sandwich. 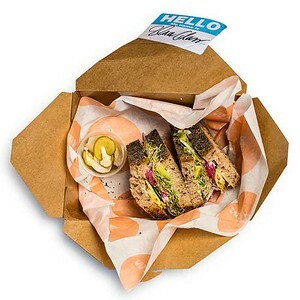 This semi-hidden sand-wich joint near the L.A. River somehow turns sharp cheddar, avocado, sprouts, cucumber, pickled onions, garlic mayo and two slices of poppy seed bread into a mind-blowing combination. And they name all of their sandwiches after NPR hosts, which is hilarious. 2902 Knox Ave., Los Angeles. Garrett Snyder ’09 Knows the Flavors of L.A.
A Taste Tour of Los Angeles: Garrett Snyder is the food editor at LA Weekly. He was also the L.A. editor of Tasting Table, and he was a contributing editor to LAmag.com’s Digest and Liquid L.A. blogs. Snyder took LMU Magazine on a tour of his favorite foods around the city.